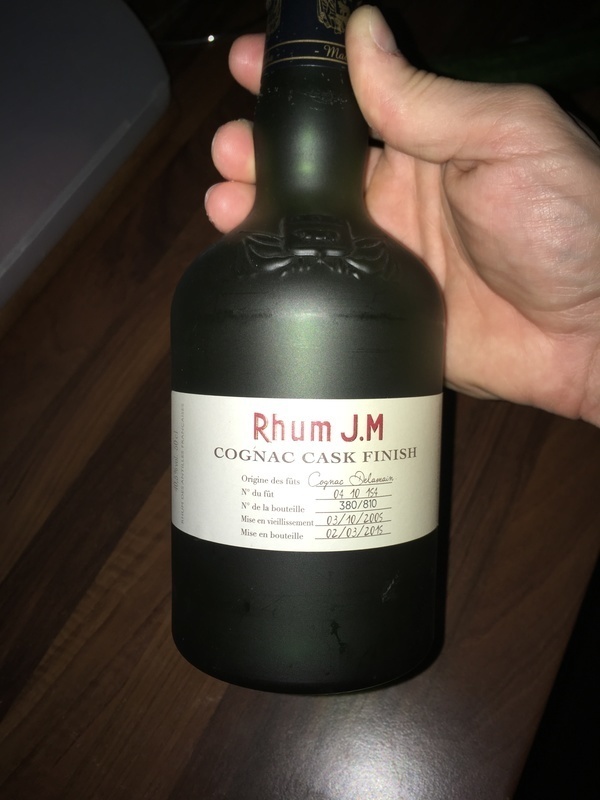 Have you found an online vendor selling Rhum JM Cognac Cask Finish? This is an high class Agricole. Dry, well balanced and complex with a cognac nose. Grassy and floral in mouth with a nice and spicy afterburn. 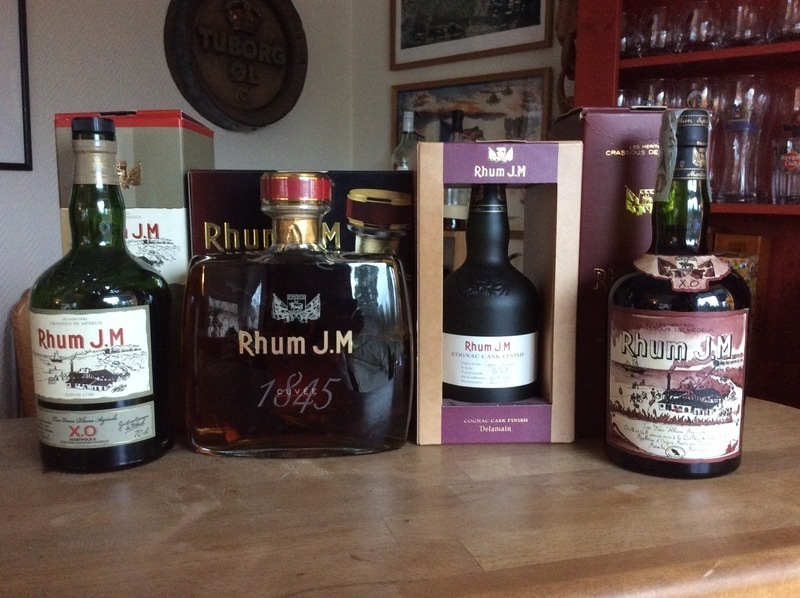 Visited the Rhum JM distillery while vacationing in Martinique. Self guided distillery tour ended with an open tasting bar. 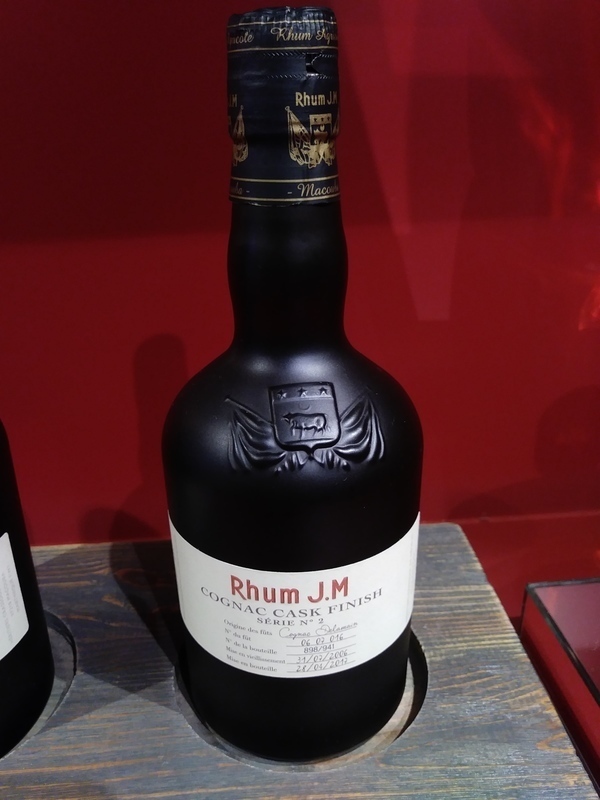 Rhum JM Cognac Cask was priced at EUR 45 per bottle at the distillery. Very nice and sturdy bottle design with a great old school label. Golden color. Traditional super dry Rhum Agricole flavors complemented with plenty of grass and floral notes to the nose and palate. Surprisingly strong burn at the end since its so dry. Rhum Agricole fan boys can easily add 2 points to my score. 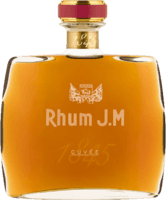 Part of a double buy from JM, this cognac cask finish allows a extraordinary taste to the old JM rhum. Light color but with a clear smell from Cognac: people who visited Cognac distillery will definetly fond the same aroma. The length on the mouth is typicall from Martinique rhums. Clearly recommanded but hard to find ! Beautiful complex rum, smooth and rich, with a lot of cognac tones, but still with agricole freshness. Amber colour with reflection. The nose is on the cinnamon, dried fruits, vanilla and cognac finish is well felt. On the palate, the woody with vanilla are present, the typical markers from JM rums are present. A final on spices, moderately long in the mouth. And always the spices! It's hot. The finish is present but discreet. Beautiful rum. Deosebit.. Fără cuvinte.. Nu știi daca e cognac sau rom... E o combinație extraordinară... Un aftertaste spectaculos! limited edition Cognac Cask finish is very complex rum. good aftertaste, very well balanced, a lot of wood. Nagyon jó, de a konyak annyira szépen nem jön át mint a calvados-os finish. Ettől még nagyon szép, de nem kiemelkedő.